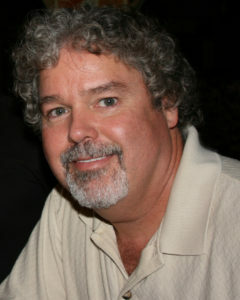 Author, Mark DeWayne Combs began his writing career by publishing weekly motivational blogs for a business networking group that he founded in the fall of 2007. Pulling bits and pieces of ideas from a decade of weekly blogging, Mark published PUSH, his first motivational book in the spring of 2017. Broken into a handful of easy-to-read essays, PUSH mixes humor, common sense, and thought-provoking insight in an effort to give each reader the opportunity to see for themselves why they have absolutely no shot at ever being ordinary. PUSH brought readers face to face with the challenge of actually reaching goals, as opposed to just dreaming of them and the journey continued when his second book, Don’t Forget Your Cape, provided a well-lit mirror inside the private dressing room of each reader for the benefit of introducing them to the impact that they have on the world in which they live. A third book in the series was published in November of 2017. 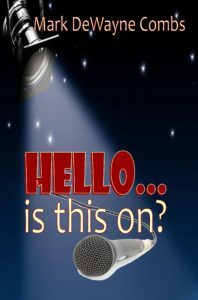 Titled, HELLO… Is This On? it explores why we do what we do and speaks to our ability to develop self-trust and quiet confidence, even in the face of daunting circumstances or, in some cases, no measurable response at all. He currently hosts the Public Display of Imagination weekly podcast, featuring the work and work habits of widely-known, best-selling authors and is invested in composing his first fictional work, a novel that explores the thin line between sanity and revelation. He also travels for Motivational Presentations whenever opportunity knocks. When author, Mark DeWayne Combs started his own business in the fall of 2007 there was no local networking group to join and the local Chamber of Commerce only offered monthly, meet & greet, social events. The opportunity to start a group from scratch was just too appealing to pass up. With the help of a few local business owners, the Amelia Business Network was born. In just over a year, the group grew from six original members to a thriving membership that included over eighty small business owners. As group membership expanded, Mark started a bi-weekly newsletter and began writing a weekly Monday Morning Motivational Blog. He has been composing motivational blog material for over a decade and began speaking to small groups in the fall of 2016. In the spring of 2017, he published PUSH, his first motivational book. Broken into a handful of easy-to-read essays, PUSH mixes humor, common sense, and thought-provoking insight in an effort to give each reader the opportunity to see for themselves why they have absolutely no shot at ever being ordinary. 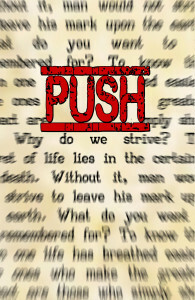 PUSH brought readers face to face with the challenge of actually reaching goals, as opposed to just dreaming of them. 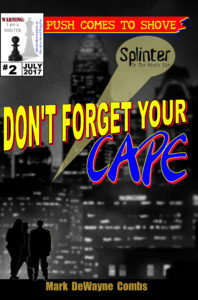 The journey continued when his second book, Don’t Forget Your Cape, provided a well-lit mirror inside the private dressing room of each reader for the benefit of introducing them to the impact that they have on the world in which they live. In November of 2017, Mark published his third motivational book, HELLO… Is This On? This latest edition to the series explores why we do what we do and speaks to our ability to develop self-trust and quiet confidence, even in the face of daunting circumstances or, in some cases, no measurable response at all. <td style=”text-align: center;” valign=”top” width=”33%”>HELLO…Is This On?